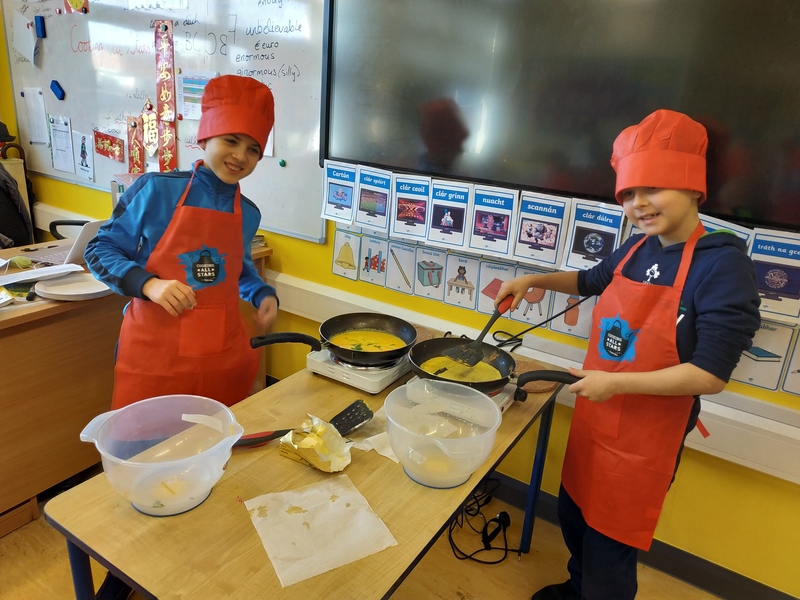 Today the children in 4th Class began the SuperValu Cooking All Stars programme. 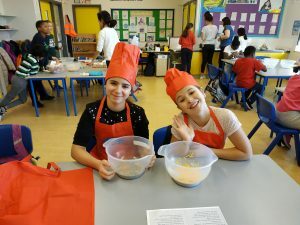 This is a series of cooking lessons where the children engage in a theory lesson and then a practical lesson. During the practical they prepare and cook their own meal from scratch with the support of their teacher Eoin and SNA Theresa. The class are also responsible for cleaning all the utensils they used in their cook (a part of cooking that often goes forgotten!). 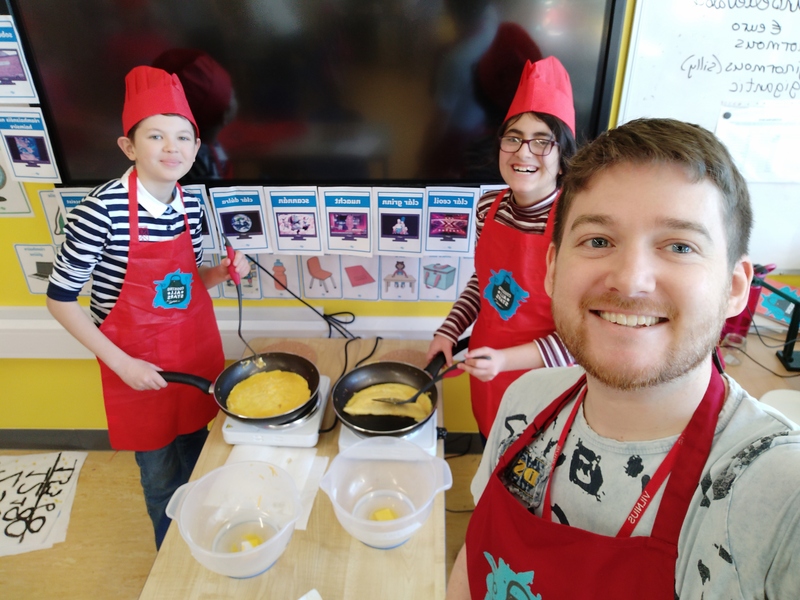 Today was a successful start to the programme with 19 perfect omelettes made and eaten! We’re really excited to continue the programme over the coming weeks! PETNS would also like to say a special thanks to SuperValu in Tyrrelstown. They have kindly donated all the ingredients that the children are using during this programme. It is very generous of them and all at the school are very grateful! You can see more about the programme (including photos) on the Beech Class blog.